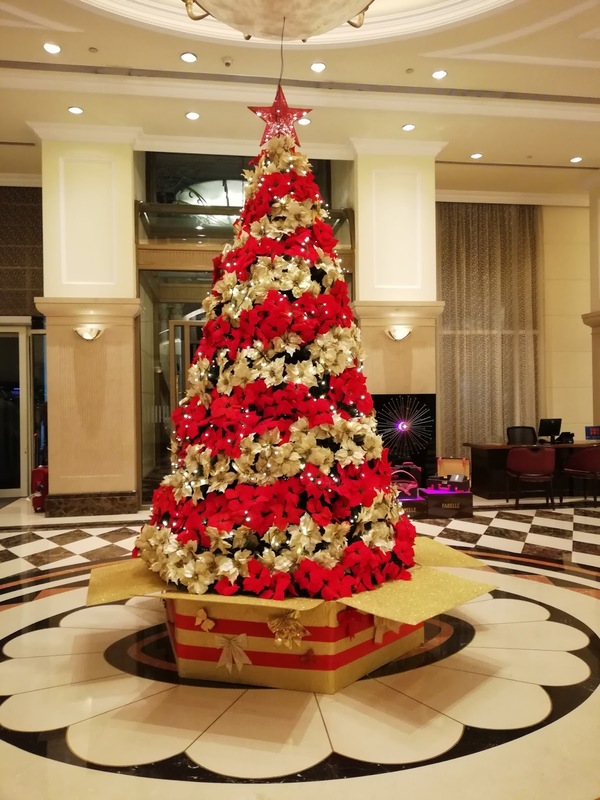 Dear friends , Merry Christmas. Wish you a very Healthy & Wealthy new year in advance. You must be wondering , whether I am joking ?. Healthy-Wealthy wishes and calorie loaded, sugary yet enticing Choco bar in the same frame ?. 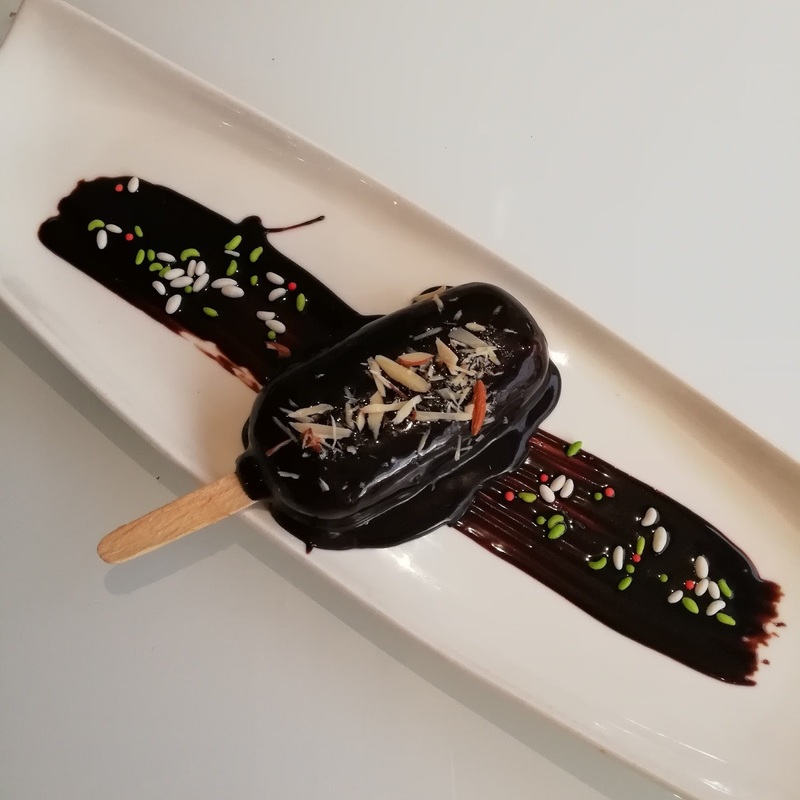 Well yes, this choco bar is enticing yet low-calorie as it's sweetened with Gulkand & honey , instead of the killer-sugar. Believe me Life is good if we make smart choices like Vinod Intelligent cookware. Here's how to gain Health with Vinod. 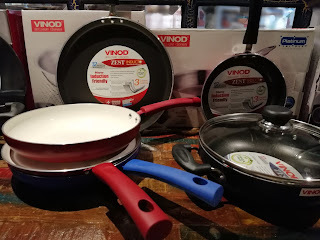 We the Mumbai Lifestyle bloggers were invited by Vinod Intelligent cookware for #BrunchingSundays with an innovative theme #CountdowntoFitness. This unique theme was in tune with Countdown to Good Health , Good Body. Bandra's Fine-dining bar , Veranda welcomed us with choicest mock tails and zesty starters . Next the #CountdowntoFitness witnessed a wonderful gathering of bloggers indulging in various fun-filled contests like , push ups, identifying the spices just by touching and smelling , foodie-viva , hula hoop ring etc. We were acquainted with Vinod Intelligent cookware , one of India's oldest yet innovative cookware brand that has evolved the cooking experience and made life easier for all of us who cook, either lovingly or duty fully. Cooking healthy food in a healthy way is a tall order and it's possible through Vinod . 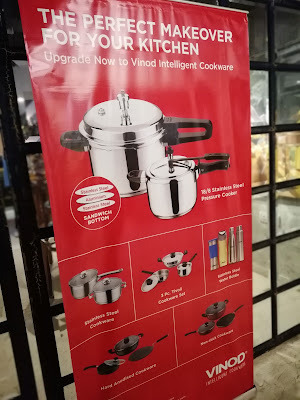 Vinod-Zest Induct Cookware is fantastic. It has a 3 Layer non-stick coating. You need not worry about the coating wearing off early. It needs lesser oil while cooking and preserves the nutrition value of all food items. 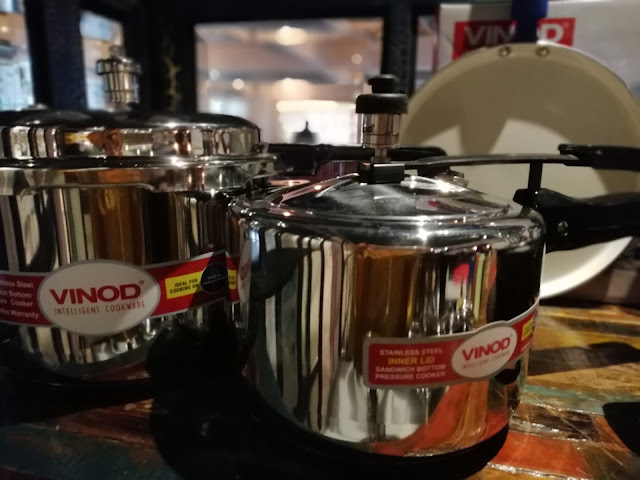 Vinod is providing us various utensils since 1963 . Vinod cookwares are durable as well as of good quality. Vinod has recently launched the New & Improved INTELLIGENT COOKWARE which retains the nutrition in the food by using less oil while cooking in it. Please check Vinod's website and select as per your choice eg. 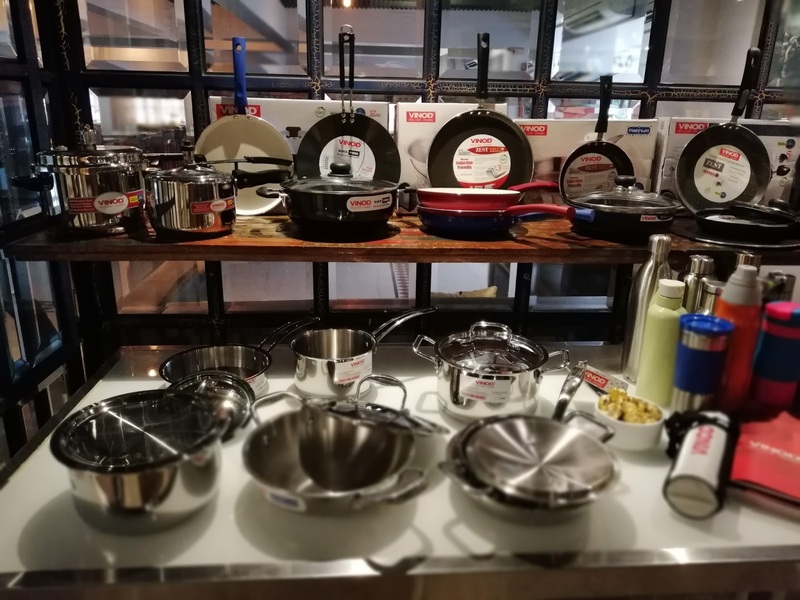 many sizes and varieties of Sauce pans , Frying Pans , griddles , tawas , Pressure cookers , sippers , Insulated Bottles , toasters etc. Vinod cookwares have extra aluminium to hold the ceramic coating which ensures that it uses less gas while cooking. It does not need separate spatula , we can use metal spoons too. Vinod cookwares are PFOA Free so no toxic fumes while cooking on high flame. We can use it on an induction stove and the added bonus is 12 month guarantee.